Search leads are more than twice as likely to become customers as clicks from paid search, and are significantly more qualified than social media leads. Creating quality blog articles allows your brand to score high search rankings, and connect with consumers who are already looking for your product. There’s a difference between blogging, and having a company blog that you update so often. The average marketer made 145 website updates in 2012 – assuming the majority of those changes are new blog articles, that’s around 4 fresh articles each week! If you think that blogging doesn’t work for B2B companies with serious buyer personas, you’re probably doing it wrong. 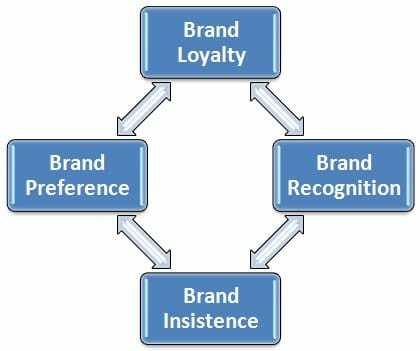 In fact, the Roper Public Institute has found that 80% of B2B decision makers prefer product research through a series of branded articles. Blogging can position your company to deliver information on-demand, regardless of who you’re trying to attract as a customer. Why is it so effective? 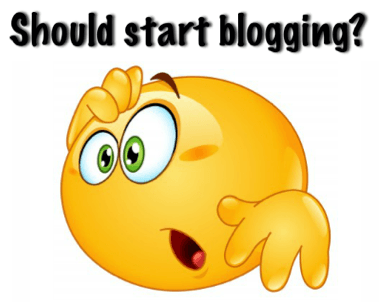 One of the reasons to blog is that it’s an avenue to provide value to your prospects without cost. Positioning yourself as an educator and resource builds trust, and makes prospects more likely to return when they’re ready to purchase. Nielson has found that 45% of consumers turn to social media to talk about companies, and 35% contribute to online review websites. Regardless of whether or not your company is creating custom content, people are already creating content about you. One of the most brilliant reasons to blog is that it allows your company to positively contribute to conversations occurring about you online. 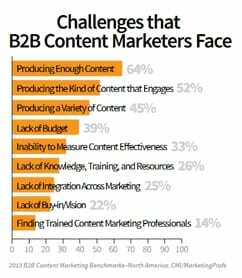 Anyone who says that it’s difficult to ascertain the ROI of content marketing might not be doing it right. In fact, the math surrounding reasons to blog is pretty simple. 92% of companies who blog multiple times daily have acquired a customer through content. The more you blog, the more likely it is you’ll win new business. When Gary Vaynerchuk wrote “the more content I create, the more luck I have,” he knew exactly what he was talking about. We’re definitely not saying that self-publishing is easy, because it isn’t. However, rest assured that one of the simplest reasons to blog is that your competition is struggling to keep up with demand. Sure, blog consumption is slightly skewed towards millennials, but that doesn’t mean you lack reasons to blog if your ideal customer is a baby boomer. The truth is, people of all ages are utilizing blogs to research products and services. Remember when corporations had to spend thousands of dollars on focus groups to compile consumer insights? Blog marketing metrics can yield an abundance of market research, if you’re willing to take a look into the data. Comments act as qualitative insights into how prospects and customers perceive your business, while traffic metrics can reveal a wealth of information about your visitors’ social media usage. Regularly analyzing your social referral traffic to determine whether Facebook, Twitter, or other networks are driving the most clicks can reveal which platform you should focus on. If you’re still grappling with reasons to blog, consider this: it makes you smarter and more knowledgeable about your field. And there’s absolutely nothing wrong with that. Sales and marketing professionals have known something for decades: people purchase from companies they trust, which isn’t built overnight. In fact, it typically takes around 7 points of contact for a consumer to be ready to buy. Compelling blog content makes people want to subscribe, which allows you to continue communicating after their initial site visit. One of the best reasons to blog is that it allows you to nurture leads and provide your sales team with better-qualified leads. You know another amazing one of the reasons to blog? It positions you as an expert, which opens up a wealth of opportunities in both the offline and online realm. As Sprout Content’s Dechay Watts points out, many journalists consider business bloggers a primary source for stories. From speaking engagements to traditional media features, blogging expands your presence so you can stand out enough online to be heard throughout your niche. 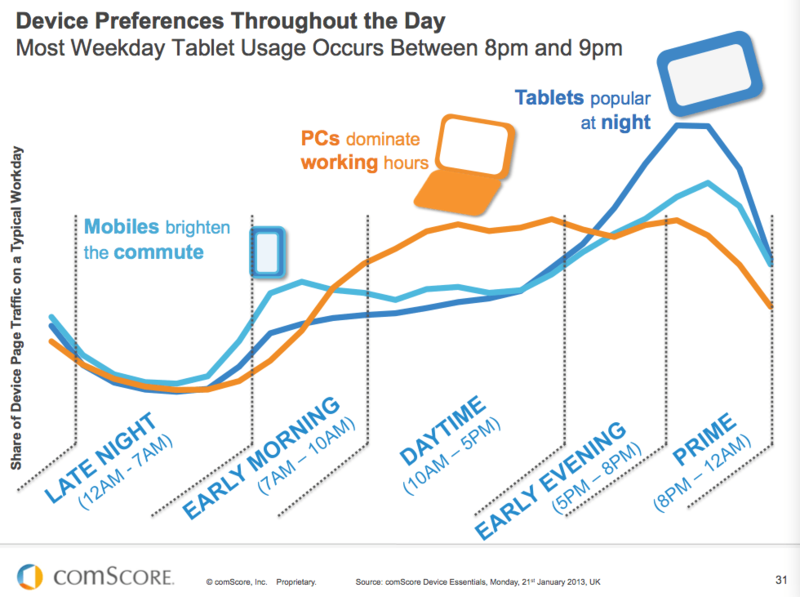 Tablets and smartphones are definitely here to stay, and one of the most pressing reasons to blog is that people are consuming more content than at any point ever before. For more on the amazing growth of mobile, check out our article 50 Amazing Mobile Marketing Statistics Which Will Move You to Action. If you had any lingering concerns that content marketing is a bubble that’s about to burst, it’s an enormous industry. Brafton estimates that companies will spend around $118.4 billion on custom content this year alone. The growth of the field shows no signs of slowing, which is one of the most powerful reasons to blog. 3 or 4 years ago, small businesses could soar to the top of search ranking by dedicating budget to SEO. 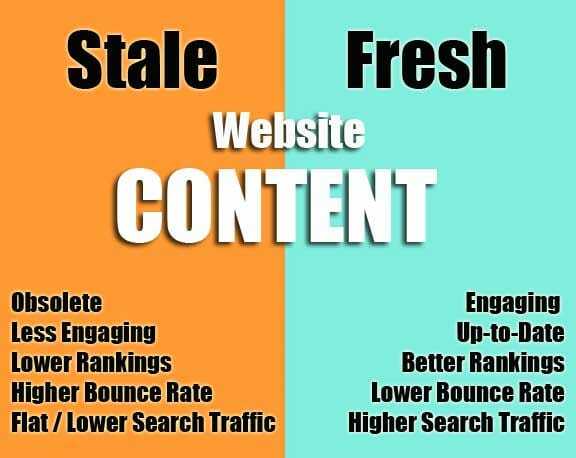 However, times and search engine algorithms have changed significantly, and one of the best reasons to blog is that great SEO is nearly impossible without it. Purchasing links and stuffing your website pages with keywords is more likely to get you banned from Google than ranked well. There’s a good chance that your company already has enough custom content to serve as fodder for your first few dozen blog posts. Resources for blogging could include emails from your sales and customer service team, internal training documents, and any number of other tools you’re using. HubSpot’s Corey Eridon writes that simply sharing an Excel Template became a high-performing blog post for their company. Repurposing might not be one of the most glamorous reasons to blog, but it’s certainly a reason that the practice is easier than you think. For more ideas on how to use what you have, see our article 17 Ways to Repurpose Content and Triple its Lifespan. 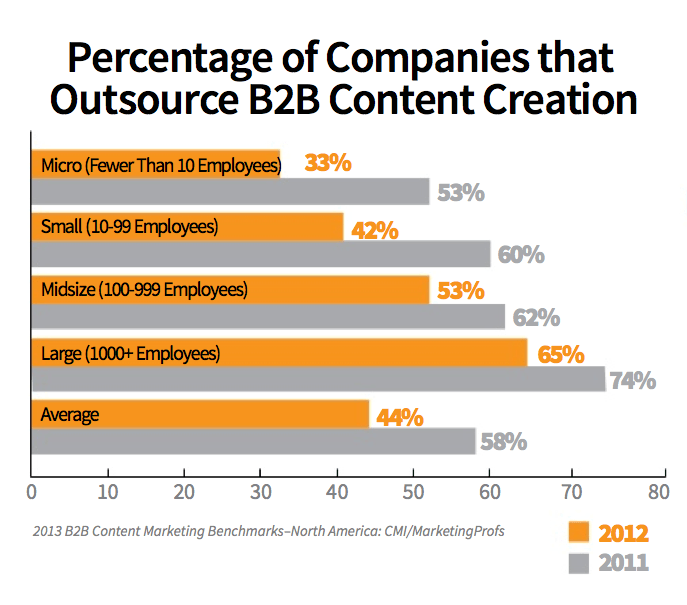 Around 44% of marketers are currently successfully outsourcing their content marketing: 43% of them use some outsourcing while 1% of companies outsource all content creation to freelancers and agencies. If you’re not convinced you’ve got the bandwidth to create enough content, rest assured that companies are using the tactic with success. To learn more about why your fear of writing won’t trump all the reasons to blog, delve into 10 Great Advantages of Outsourcing Content Creation. Google’s head web spam fighter, Matt Cutts, has stated in recent interviews that website authority will soon matter more than ever to your ranking in search. Authority isn’t built overnight, but rather through social signals, organic backlinks, and creating unique content. If you needed any more reasons to blog, your articles could be crucial to establishing your company as an expert in your niche. Every small business owner has heard that acquiring a new customer is 5 to 10 times more expensive than keeping your current clients. However, few know that one of the reasons to blog is that it allows you to keep in touch with your clients. 64% of marketers are currently using content to achieve retention goals. It’s easy to get overwhelmed by companies who are creating an abundance of content, which can range from case studies to videos. 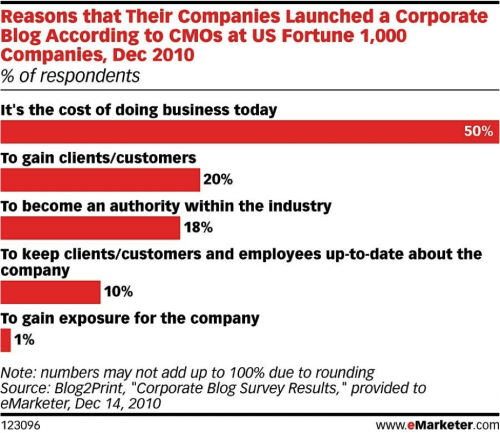 However, 59% of marketers believe that blogs are the most effective form of content marketing. If you don’t have the budget or time to try niche networks or eBooks, understand that nearly 6 out of 10 marketers stand behind all of the many reasons to blog. There’s a number of statistics which clearly connect content creation with ROI, but one of the most exciting is that 21% of consumers consider blog articles a primary tool for deciding on purchase decisions. Consumers don’t just read and bounce, they evaluate articles to pick vendors. 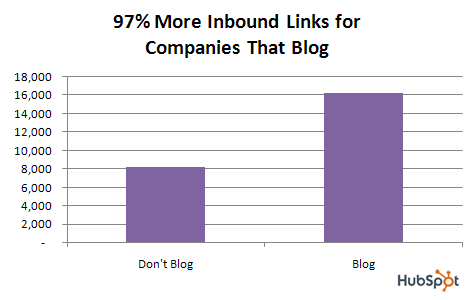 71% of companies who blog have gained more attention in their industry as a result of their content creation. The more articles you write, the better chances you’ll gain of standing out against your competition. Perhaps the best reason to blog we know is that it’s a tool for winning in your niche. What were your deciding reasons to blog? Are there any other benefits you’d add to this list?